I am a retired fire fighter. I have provided actual CPR and have used AED`s for over 31 years on the job. My last 22 years on the fire department, I was also a training officer on a ALS engine company. I have been teaching for over 30 years and will teach you how to do CPR and the Heimlick maneuver as if you were going to do it on me. My classes are easy, relaxed and very informative, but not long and drawn out. I am a American Heart Association certified instructor. My first aid classes and cerifications are OSHA approved. I have regular classes in largo and weekend classes in Clearwater. I can come to your office or school anywhere in the Tampa Bay area for large or small groups. I provide all materials and you receive your card immediately after the class. 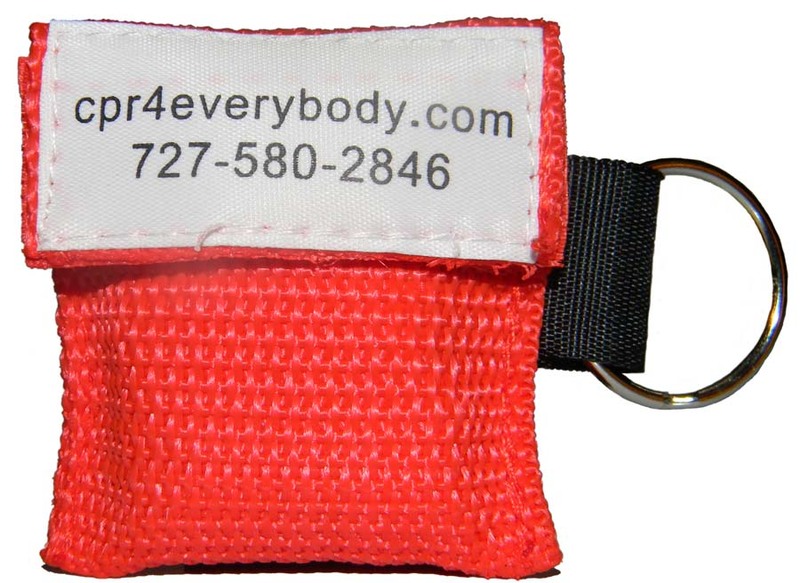 Everyone receives a emergency keychain breathing barrier. No hidden or exter charges. All classes include adult, child and infant CPR/AED and choking maneuvers, what to do in special situations, heartattack and stroke recognition. Charles was very informative. The class was very interesting and very through. Best class I've ever had! Easy-going, retired firefighter really knows his stuff. I'll only use this company in the future! I start with basics of an emergency and what to expect, how to react and things to remember in a easy, relaxed setting. I took my first CPR first aid class at Atlantic Community College before entering the Army. I also trained at Pinellas Fire academy, SPJC (ST. Petersburg College) Florida Fire College, Florida Central College and the Natioal Fire Academy. I served as a Lieutenant for the Belleair Bluffs Fire Department for 25 years.